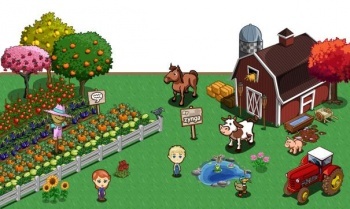 News Corp is getting into the social games business, but it knows that trying to follow Zynga's example is "a losing proposition." Like most major corporations these days, News Corp owns a social gaming division, ambitiously named Making Fun. However, it turns out the group has no obligation to use any of News Corp's networks, services, or properties (like the slowly dying MySpace); instead, the development team plans to forge its own path, and it isn't planning to follow Zynga's example when it comes to social games. "First and foremost, we're not even playing the game in the first innings of the social games. Zynga won that one. They came in and established ways of doing things and kinds of games, and they built a hell of a great business. "If we're going to come in and do what they did, I think that would be a losing proposition." However, just because it doesn't have to use MySpace as a platform doesn't mean that Making Fun won't take advantage of its parent company's substantial media assets. The game studio plans to fully utilize New Corp's print, radio, TV, and web presence to build brand awareness. According to Welch, "News Corp has a whole lot of eyeballs it reaches across its various media strategies, and to the extent that we can make partnerships that are win-win between News Corp brands and what we're doing within games - that's the way that we can have an advantage that Zynga doesn't have." At the moment, Making Fun has three titles in development. Welch claims that the first game is "going to do something pretty revolutionary in the social games space: it has an ending."